Learn about decorating with antiques. Antique billiard cues evolved from wooden sticks, called maces, that players used to shove the balls into positions on the table. Although no one is exactly sure when the first game of billiards was played, historians believe it was most likely in France during the 1400s. Based on the popular lawn game of croquet, a border was built around an indoor table and the top was covered with a green cloth to make it appear more like grass. Players did not strike the balls to move them, instead they pushed them with the wooden mace. During the 1600s, when players found themselves with their billiard balls near the table's border, or rail, they would turn their mace around to strike the ball with narrow end of the mace's handle. The handle of the mace was called the queue which means tail. Over time the word queue was changed to cue. During the 1600 and 1700s the shape of billiard cues evolved into tapered lengths of wood. However, they still did not afford the players any control over the ball since the tip was part of the solid wooden piece. It was not until 1807 that Francoise Minguad developed the first tip for the billiard cue. These early cue tips were made of leather. These lovely old billiard cues are often wrapped in delicate silk fabrics to keep them safe from damage. In the late 1800s many of the billiard cues were made of ash. To make the cues straighter and stronger, another hardwood was spliced to their bases. Brunswick manufactured the spliced cues in a variety of different weights. In 1906 the company was producing more than 400,000 cues each year. They also had enough reserve in their drying kilns to manufacture an additional 600,000. Throughout the world cue makers crafted their works creating cue sticks that are highly sought after by the collectors of today. Many of the billiard cues made by Henin Aine of France feature beautiful inlaid mother of pearl designs. Opened in 1839, The B. Finck Company of Germany crafted elaborately styled billiard cues many featuring intricate inlays of exotic woods. For a time Italian cue makers were crafting cues of woods including hickory and hornbeam. They then started using ramin imported from the Far East. Cues are no longer made of this wood as ramin is now an endangered tree. Billiard cue makers from the United States include the Albert Pick Company and the Rieper Manufacturing Company. 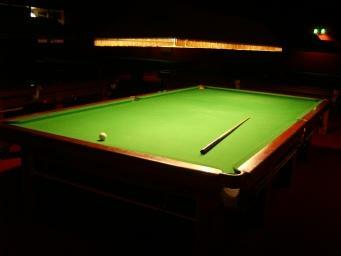 For restoration and repair of billiard cues, Proficient Billiards has years of experience. The company also buys and sells billiard cues. Included on their website is a list of more than 100 well known antique, vintage and current cue makers along with pictures of their cues before and after restoration. The Blue Book of Pool Cues by Brad Simpson serves as a price guide and is full of valuable information. If you love antiques, collectibles and the game of billiards, you may find collecting vintage and antique billiard cues a fascinating hobby.